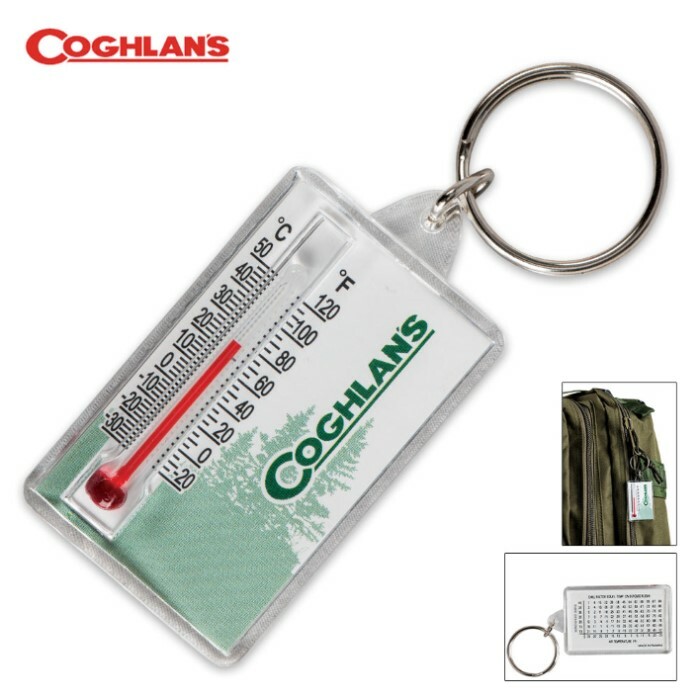 Coghlan’s Zipper Pull Thermometer | BUDK.com - Knives & Swords At The Lowest Prices! 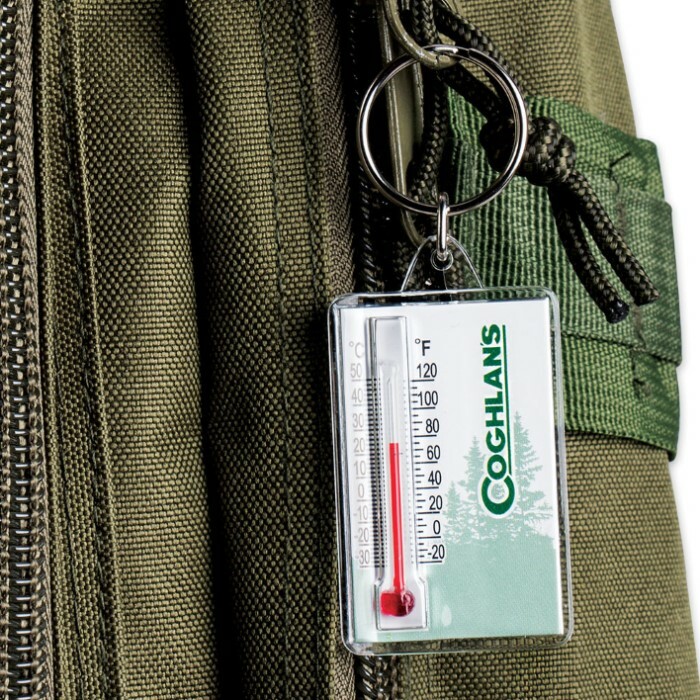 Coghlan’s Zipper Pull Thermometer is a handy, compact thermometer that you can attach to your zipper on your jacket, backpack or bug-out bag. It has both Fahrenheit and Celsius scales, plus, a wind chill chart. 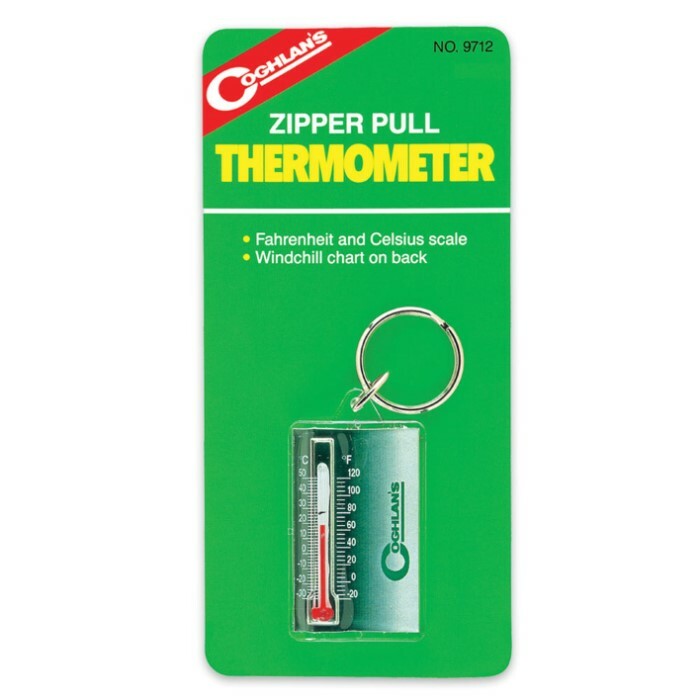 Surprisingly works well as a thermometer and a zipper pull. Great value. This is a MUST have especially if you live in a winter cold climate state! It is small, portable, attaches to a zipper pull, practical, and it has a wind chill table on the backside which allows you to calculate what the combination of current air temperature PLUS wind speed, will make it really feel like against your skin! AND, you get this for just a couple bucks! It's a great deal! Perfect for the person who wants to know what the temperature is who is not carrying some gadget other than his or her camping , hiking or survival non electronic gear. Wind chill factor is right there. It works good,now I know how cold it is when I'm out shoveling snow. This is a cool tool to use for a zipper pull on your woods jacket and on your back pack zippers and I use them for that purpose. According to my furnace thermostat they are accurate and the wind chill factor is handy on the back side. The same thermometer costs twice as much in the out-fitter stores! Happy trails.